Saffron, lime, peppercorn, cinnamon and melon, the list is endless. You would think that we are talking of the ingredients for our fayre at America Square our new conference venue, which opens on Monday the 29th September. We’ve discussed, we’ve debated, we’ve challenged, we’ve raised our voices till they were very loud indeed, we’ve thrown our toys out of the pram and stamped our feet until they hurt. Incidentally, if you happen upon our fluffy grey bunny (you’ll recognise it by it’s chewed ear and missing eye) we miss it terribly. Please can you send it back to us. Finally we’ve come up with Raspberry, yes RASPBERRY! Our aim was modern, contemporary, fresh and appealing. Our rebellion against the bland and the anonymous. 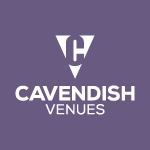 At Cavendish Conference Venues we’ve always bucked the trend and ploughed our own course. We hope you agree with our choice, if not let us know.